With convex and concave dips and curves, this sensory mirror really does invite close inspection. Great for standing back with smiles. 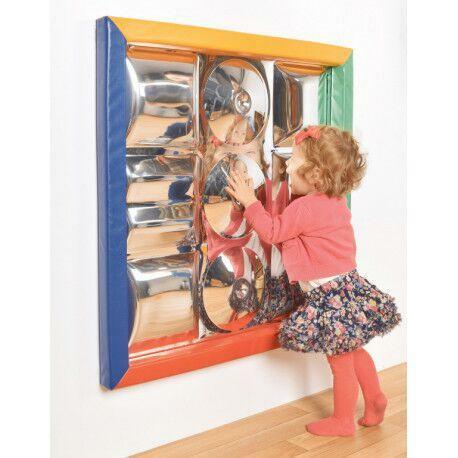 This mirror also encourages children to get really close to find and examine their reflections which appear differently in the 9 facets molded into the safety plastic.